Whenever you remove a tree, the stump is almost always left behind. You also have to consider that tree care and maintenance might leave some dead wood in your compound if you have not paid for these services. In some cases, some tree care experts do not go the extra mile to ensure that your compound is free of any debris. They charge this impromptu after they have removed the tree and sometimes you may not be able to pay this amount upfront because you had not budgeted for it. After you have the resources, it is possible to still get stump grinding and dead wood removal from your compound. You will find a lot of dead wood in some compounds. This is not safe or healthy since children can easily get hurt in such cases. Furthermore you might end up encouraging pest infestations on the dead wood. Don’t be surprised if you have ants. This wood also rots with time, providing a conducive environment for fungi growth. This is not safe for the people living in your compound or the pets either. The best thing to do is to get professionals to remove all the dead wood debris. If it is still in good condition, it can be used for other things such as mulch. Stump grinding is necessary to remove those unsightly protrusions from your compound. 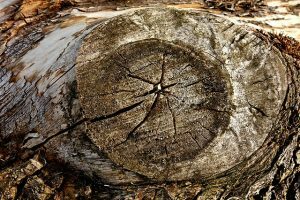 While some tree removal companies prefer to cut down the stump and uproot the bottom, some prefer to grind the stump, level the ground and leave it at that. Both methods are okay but they will be determined by the reason for removing the stump in the first place. If it is for construction purposes, you would need to uproot the whole lower part of the tree. Stump grinding and dead wood removal provides various benefits. First of all, you eliminate the probability of tripping and hurting yourself. The same applies for the adults and especially the children that are in the compound. Stumps and wood also provide breeding ground for fungi and pests once they start to rot. Getting rid of these will eliminate this possibility. When you are planning on having some landscaping done in your compound, you might need to level the ground and remove any debris as well. This is primarily for aesthetic appeal but it still allows you to upgrade your landscaping without any hindrances. Stumps can be unsightly and also pose danger to people and pets. The only way to deal with them is to have them removed. 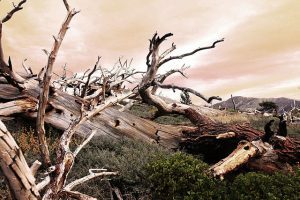 Additionally, dead wood has to be removed because it also poses dangers and reduces the aesthetic appeal of your compound. It is therefore important to get professional services that will remove them from your yard. Since these professionals are trained, the probability of anyone getting injured or damaged is therefore eliminated. You can benefit from the mulch after stump grinding if you have a garden. You should therefore consider getting these services.